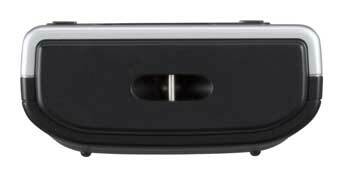 The VN-732PC is the workhorse of the VN series. Perfect for students, the VN-732PC has an easy search calendar ….. Simple use with expanded calendar functions. 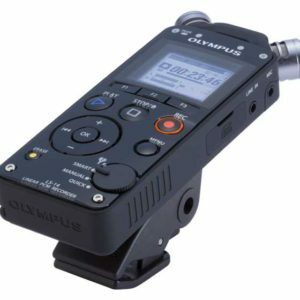 The VN-732PC Olympus is equipped with a high performance, omni-directional, low noise, monaural microphone. The large diameter microphone records sound from all directions with less noise enabling clear recordings. 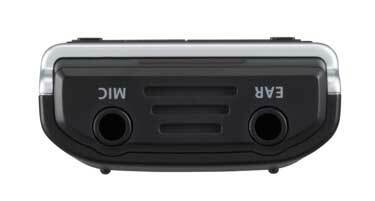 The recorder is also capable of minimising the sound of breathing making it a suitable device for dictation. A built in stand is carefully designed to reduce the noise from tabletop surfaces. 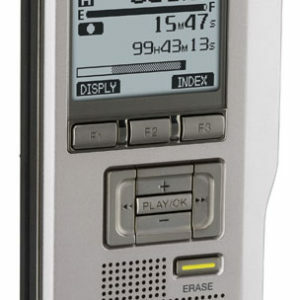 By developing energy efficient circuitry, Olympus have dramatically extended the battery life of the VN-732PC Olympus. 2 x AAA batteries can last up to 100 hours. The Simple Mode supports beginners by having the recorder display only the basic information in the large font. It also limits the function in the menu to those that are frequently used. For more advanced users, the Normal Mode procides full functionality and display for more detailed information. By simple selection from the menu, users can set optimum settings according to the Scene Select options. By connecting the optional TP-8 telephone earpiece and selecting the ‘Telephone Recording’ scene, you can record telephone conversations with optimal settings. 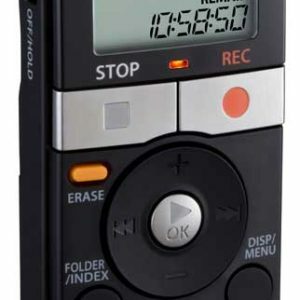 The ‘Duplication’ scene when used in conjunction with the optional KA333 connector enables users to easily digitise and save recordings from analogue sources such as cassette tape or LP record players.